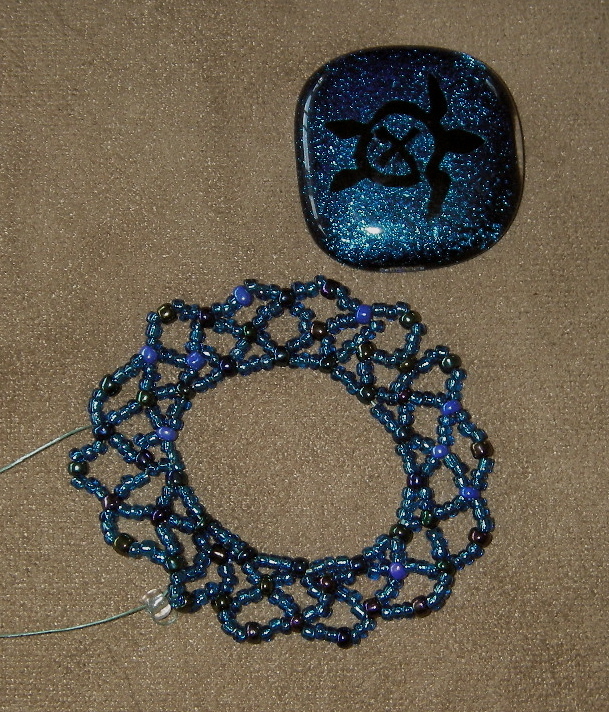 I made an untrackable geoturtle coin into a pendant to learn beadweaving. The pendant was sent to ann.and.eli as a prize for making a beautiful glassie icon ! Netted cabochon made with size 11 silver lined transparent royal blue and size 8-ish opaque blue Iris glass seed beads on crystal fireline. Bail made of size 11 silver lined royal blue, size 13-ish deep blue silver lined glass seed beads and size 11 metallic green delicas on NymoD. 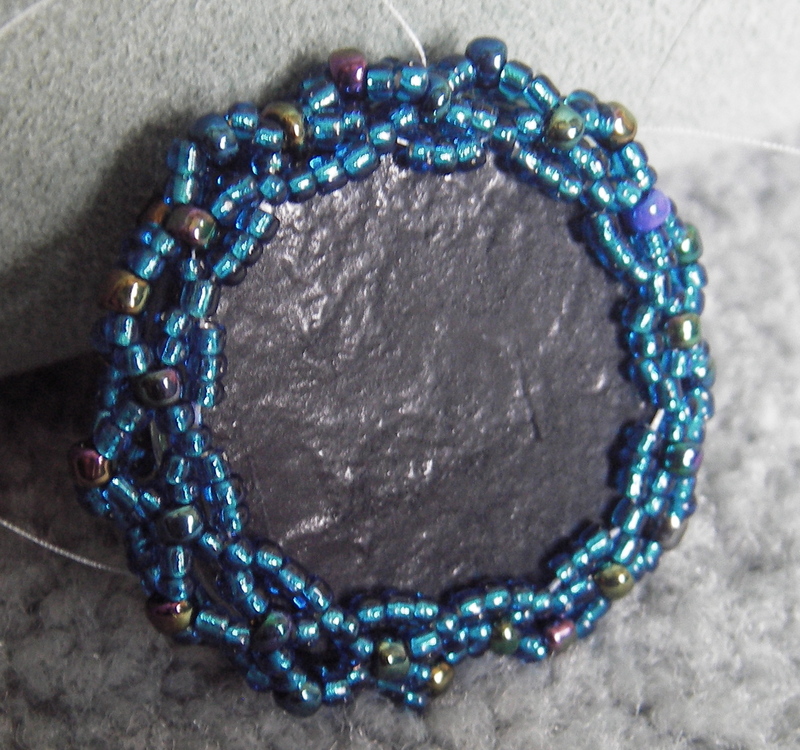 There are 13 size 8 beads in the first ring ( i tried 14 but it was too big ) and the back uses only 4 beads in the second last row so you have to thread the final row through the second bead, not the third. There are 14 size 11 beads in the starting loop of the bail. The second row on both sides of this is slightly smaller dark blue and finally size 11 green delicas finish the outer rings. ~ by forthferalz on June 20, 2009. That is gorgeous Carolyn! I might have to teach myself!